It's September, which means FALL!! And with Fall comes everything PUMPKIN! It's time, time for Pumpkin and Fall and so I made up these Pumpkin Oatmeal Raisin Cookies, they are so delicious and perfect for this time of year. 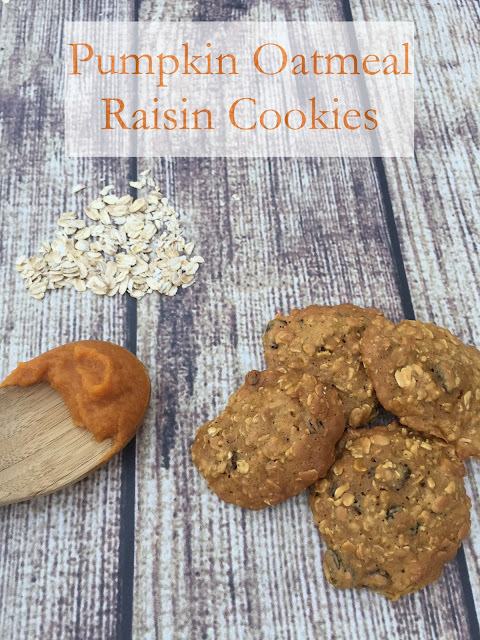 Now, I'll admit, I'm not a huge fan of pumpkin, but the pumpkin in here is very mild and my whole family enjoyed these cookies. So easy to make and deliciously tasty!